The second-largest city in South Carolina with 120,000 within the city limits and closing in on 700,000 in the metropolitan area, which serves as the county seat of Charleston County. Some of the areas major employers include Google, Bosch, Boeing, BAE Systems, and Daimler. Typical of coastal cities, recreation in Charleston focuses on water. The city's eight-acre Waterfront Park attracts many visitors annually and is a popular destination for residents as well. Charleston is home to numerous parks, including Beachwalker Park, Folly Beach County Park, Isle of Palms County Park, James Island County Park, Old Santee Canal Park, and Palmetto Islands County Park, just to name a few. Charleston's mild climate makes tennis and golf year-round sports, and the city is home to 40 tennis courts and a municipal golf course. 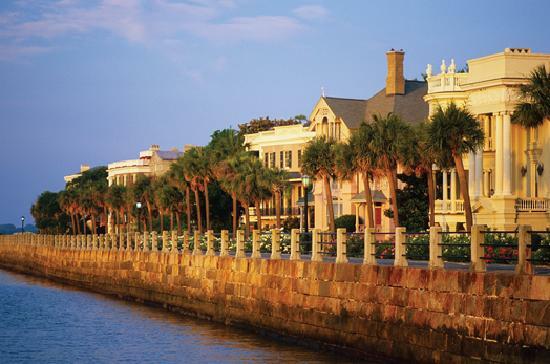 Charleston is also a tourist destination with plenty to go during the day and at night with restaurants, bars, shopping lining the downtown areas especially along King and Meeting streets. If you're interested in Charleston, please email your resum� with an introductory letter to to Dayna Lynn at dlynn@fsgltd.com or fill out the form below.